North Jakarta Government reviews plan to arrange Kampung Walang settlement area, RW 02, Ancol Urban Village, Pademangan.
" We are still reviewing to find the best solution"
Jakarta Water Resources (SDA) Dept. plans to make waterway from Long Storage Ancol to Ciliwung, precisely in settlement under the toll where those residents are staying. 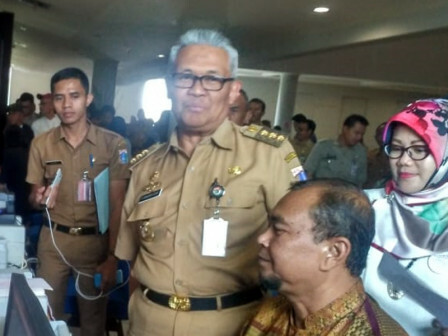 North Jakarta Mayor, Syamsudin Lologau explained, his side has told the local residents exactly after fire incident happened on August 26. Most of the residents understand that waterway is needed and they support this waterway project. "We plan to build waterway. Local residents are also agreed with this plan because without waterway, this area will be flooded," he mentioned, Tuesday (9/4). Even though, his side still needs to review the best solution that could be done for residents regarding settlement arrangement. Thus his side will continue to coordinate with related stakeholders, such as toll road management and railway company to find the best solution for residents. "Maybe, we can build shelter near the location. But we are still reviewing to find the best solution," he affirmed.